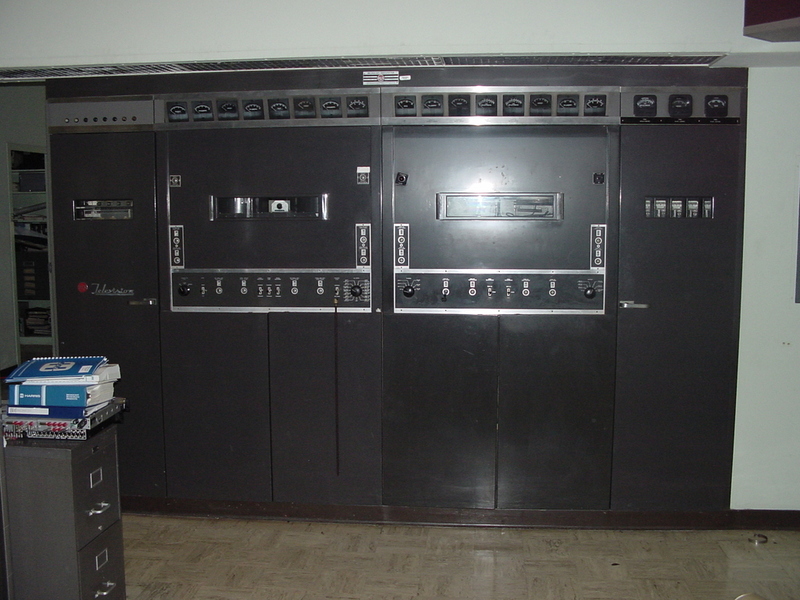 This transmitter, an RCA TT-11, was the original transmitter WFAA-TV installed when the Cedar Hill site was first lit in 1954. (Before 1960, channel 8 operated from a different site.) According to Don, the finals for this transmitter—long since removed—took up the entire back half of the building.